Ali, P. A., & Gavino, M. I. (2008). Violence against women in Pakistan: a framework for analysis. The Journal of the Pakistan Medical Association, 58, 198-203. Ali, T. S., Krantz, G., Gul, R., Asad, N., Johansson, E., & Mogren, I. (2011). Gender roles and their influence on life prospects for women in urban Karachi, Pakistan: a qualitative study. Glob Health Action, 4, 7448. Badley, G. (1986). The Teacher as Change Agent. British Journal of In-Service Education, 12, 151-158. Bernard, H. R. (2000). Social Research Methods: Qualitative and Quantitative Approaches. Thousand Oaks: Sage Publications. Bernard, H. R. (2011). Research Methods in Anthropology: Qualitative and Quantitative Approaches. Oxford: AltaMira Press. Burns, R. J. (2002). Education and Social Change: A Proactive or Reactive Role? International Review of Education, 48, 21-45. Buzdar, M. A., & Ali, A. (2011). Parents’ attitude toward daughters’ education in tribal area of Dera Ghazi Khan (Pakistan). Turkish Online Journal of Qualitative Inquiry, 2, 16-23. Buzdar, M. A., & Ali, A. (2013). Development of reflective thinking through distance teacher education programs at AIOU Pakistan. In The International Review of Research in Open and Distance Learning (Vol. 14). Buzdar, M. A., Ali, A., & Nadeem, M. (2011). Educating Women’s Rights through Teacher Education in Pakistan: Reality or Paradox. 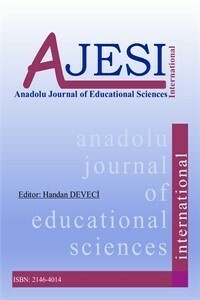 International Online Journal of Educational Sciences, 3, 918-929. Creed, C., & Perraton, H. (2001). Distance Education in the E-9 Countries: The Development and Future of Distance Education Programmes in the Nine High-Population Countries. Paris: Unesco. Creswell, J. W. (2003). Research Design: Qualitative, Quantitative, and Mixed Methods Approaches (2nd ed.). Thousand Oaks: SAGE Publications. Epstein, S. (2003). Cognitive-Experiential Self-Theory of Personality. In T. Millon, M. J. Lerner & I. B. Weiner (Eds. ), Handbook of Psychology (Vol. 5, pp. 159-184). Hoboken, NJ: John Wiley & Sons, Inc.
Fraenkel, J. R., Wallen, N. E., & Hyun, H. (2011). How to design and evaluate research in education. New York: McGraw-Hill Humanities/Social Sciences/Languages. Lindbeck, A. (2002). The European social model: lessons for developing countries. Manila: Asian Development Bank. Richards, L. (2005). Handling Qualitative Data: A Practical Guide. London: SAGE Publications. Schiro, M. S. (2012). Curriculum Theory: Conflicting Visions and Enduring Concerns. Thousand Oaks, CA: SAGE Publications. Silverman, D. (2006). Interpreting qualitative data: methods for analyzing talk, text, and interaction. London: SAGE Publications. Unesco. (2012). EFA Global Monitoring Report 2012: Youth and Skills - Putting Education to Work. Paris: UNESCO. Unesco. (2014). EFA Global monitoring report 2011, The hidden crises: armed conflicts and education. In. Paris: UNESCO. Weinberg, D. (2009). On the Social Construction of Social Problems and Social Problems Theory: A Contribution to the Legacy of John Kitsuse. The American Sociologist, 40, 61-78.